President of Iceland Gudni Thorlacius Jóhannesson will head the country's official delegation at the 5th The Arctic: Territory of Dialogue international forum, according to the Roscongress Foundation. Today, Russian Presidential Advisor Anton Kobyakov received Ambassador of Iceland to Russia Berglind Ásgeirsdóttir. They discussed the Iceland delegation's participation in the event. 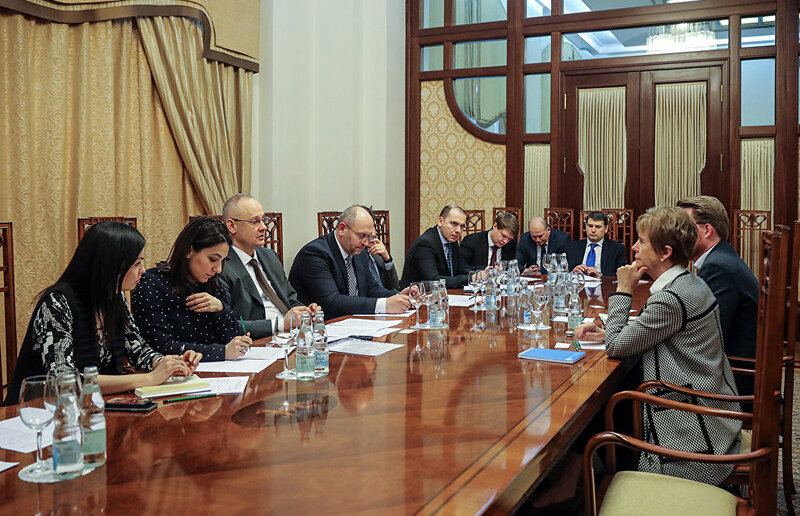 Kobyakov noted that he praised the interest of representatives of Iceland's business community, officials and experts in expanding the constructive discussion with Russia's representatives during the forum's business program. Ms. Ásgeirsdóttir said delegation members planned to meet with representatives of major Icelandic companies that are working in Russia. "The Ambassador of Iceland noted that, like in 2017, President of Iceland Gudni Thorlacius Jóhannesson will head her country's official delegation at The Arctic: Territory of Dialogue forum," the Foundation's press release said. St. Petersburg is to host The Arctic: Territory of Dialogue international forum on April 9-10.